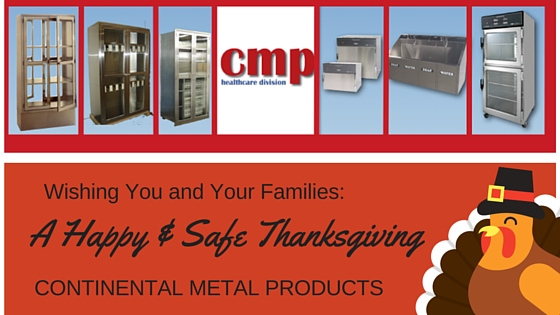 Tag Archive | "blanket warmer"
Are You Using Stainless Steel Equipment for Thanksgiving? Hope you are using Stainless Steel kitchen appliances, not the Medical Equipment this holiday! Please Drive Carefully and Enjoy your Holiday Celebration and Long Weekend! After the leftovers are gone, let us know if we can assist you as you tie up your projects for the end of 2017 and begin new ones in 2018! Reminder- CMP can assist with Pass Throughs for USP <800>! CMP Recessed OR Supply Cabinets and Warmers at INOVA! The New INOVA Women’s Hospital features CMP’s Stainless Steel Operating Room Cabinets. Check out INOVA’s new video. You will see CMP’s beautiful Recessed Operating Room Supply Cabinets and Warmers in their new ORs at 2:24. CMP is honored to be part of this beautiful new hospital. It is rated one of the best in the nation by US News and World report! What temperature should blanket and solution warming cabinets be set? As the manufacturer of some of the most popular warming cabinets worldwide, Continental Metal Products Healthcare Division, is often asked by clinical hospital staff, What temperature should blanket and solution warming cabinets be set? CMP refers hospital and Surgery Center professionals to ECRI* and AORN* guidelines. ECRI had previously recommended a limit of 110℉ (43 ℃) because solutions were often being warmed in the same cabinets as blankets, and the lower temperature eliminated the serious burn risk presented by excessively heated solutions. With increasing recognition in the healthcare community that solutions should be kept at lower temperatures than, and therefore heated separately from blankets, they believe that their recommendation for blankets can be made less stringent. They continue to recommend that solution warming cabinets be limited to 110℉. Continental Metal Products Dual Compartment Warming Cabinets allow for easy, separately controlled heating of both blankets and solutions. Our new “Quick-Temp” monitoring system makes warmer data temperature logging easier and more accurate than ever before. Simply insert a flash drive into the control panel and all your data is ready to download into your PC. Quick-Temp USB Temperature Logging feature now comes standard on Continental Metal Products State-of-the-art, new touchscreen control panel Warmers.For more information, please click our links below or Contact Continental Metal Products. Recommended practices for a safe environment of care. In: Perioperative Standards and Recommended Practices. Denver, CO: AORN, Inc;2013;217-242. What Temperature should Hospital Warming cabinets, Blanket Warmers and Solution Warmers be set at? ECRI Blanket warmer and solution warmer recommendations remain the same as noted in March of 2010. ECRI warming cabinet recommendations. Please see full ECRI paper for full text of the article. 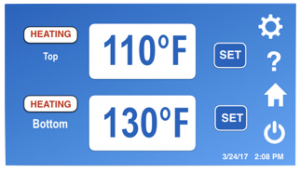 · Ensure that temperature settings for blanket warming cabinets and compartments are limited to 130°F and that solution warming cabinets and compartments are limited to 110°F. Make sure that these settings cannot be increased by unauthorized personnel (e.g., use cabinets that employ lock-out features). · If a single layer of blanket is not considered adequate to achieve patient comfort, use a second layer, by either folding the blanket once or using two blankets. 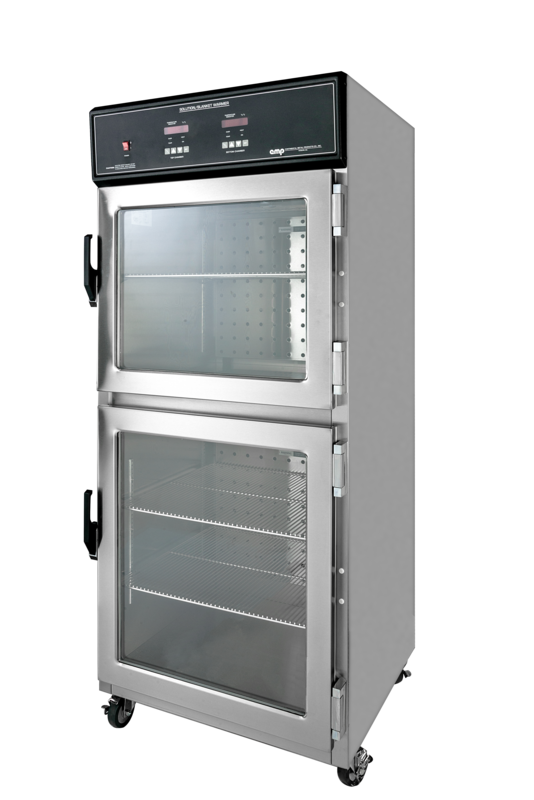 · Ensure that warming cabinet capacity can meet the daily demand for warmed solutions and blankets. Consider purchasing additional units if necessary. In hospitals with too few cabinets (or too little cabinet space), staff may be tempted to pack items too closely, which can prevent even and effective heating. · Assess the location of warming cabinets in relation to the patient care area, and move cabinets closer, if necessary, to keep blankets from cooling excessively while being carried to patients. · Assign the responsibility for setting —and periodically monitoring —the temperature of warming cabinets to designated staff members in each clinical area where the devices are used. · Ensure that warming cabinets are inspected annually to verify proper temperature settings and performance. Continental Metal Products’ Dual Compartment Blanket Warmers and Solution warmers, assist in compliance by utilizing two separately controlled compartments for safely warming blankets and solutions. Please note, the Joint Commission has not published recommended temperature ranges or settings. Their Environment of Care Standards (EC6, 10 and 6.20) require that the facilities provide written plans concerning the effective, safe, and reliable operation of medical equipment. CMP’s “Quick-Temp” monitoring system insures that warmer data temperature logging is accurate and easy. By inserting a flash drive into the control panel, all temperature data is ready to download into your PC. For more information, please click our links below or Contact Continental Metal Products. · ECRI Institute. Guidance article. Investigating device-related “burns.”Health Devices 2005 Dec;34(12):393-413. · ECRI Institute. Hazard Report Update. ECRI Institute Revises Its Recommendation for Temperature Limits on Blanket Warmers. HealthDevices 2009 Jul;38(7):230-1. Tabletop Warming Cabinet is a space saving model! 18 inch wide CMP blanket warmer saves space! 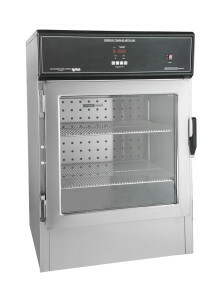 Countertop warming cabinet with optional trolley. Available in 21 inch depth also, which produce interior depths of 18″. Casters option provide for flexibility. The blanket, solution or fluid warmer can be rolled under the table or counter when it is not in use. When clinical situations require, the warming cabinet can be easily rolled out. 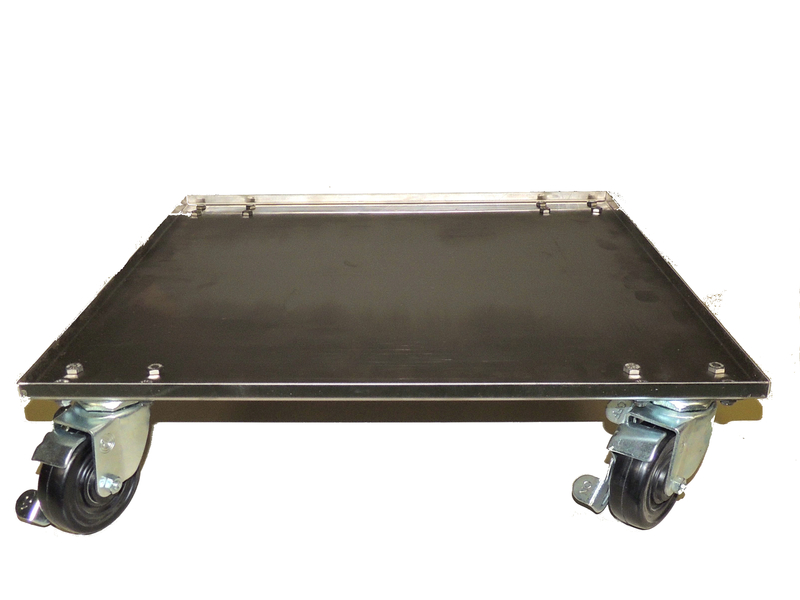 The casters come with locks so that it can be locked in any location. Continental Metal Product has over 70 years of experience manufacturing hospital warming cabinets, blanket warmers and solution warmers. The right size for a huge range of medical applications. CMP provides all the features of the full sized warming cabinet in this mini, space saving tabletop model. With a storage capacity of 2.1 cubic feet, the 18 ‘ wide model is the right size for procedure rooms, ASC, ambulatory surgery centers, and clinics. For larger storage capacity needs, CMP offers a 30 inch wide warmer. This medium sized compact warming cabinet, also fits on tabletops or countertops. The warmer provides for a larger capacity of blankets, solutions or fluids. It still saves lots of valuable space. CMP’s 30″ wide model provides a storage capacity of 3.8 cubic feet with the 21 inch deep model. The 30 inch wide, 27 inch deep solution or blanket warmer, provides a storage capacity of 5.2 cubic feet. Continental Metal Products broad product portfolio, contains Blanket, Solution and Fluid warmers in many sizes to meet your healthcare facilities needs. Medium sized warming cabinet models are 45 inches high. Full height Blanket / Solution warmers are 74 inches high. They come in single and double compartment models. 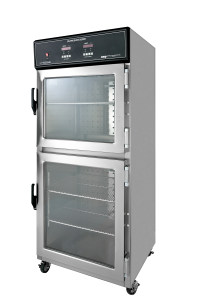 CMP”s Model #DSW2AE, Double chamber warming cabinet is our most popular model. 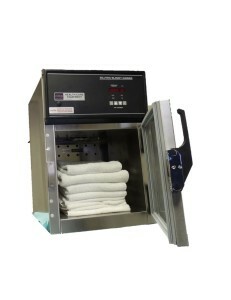 This two chamber warming cabinet warms blankets and solutions separately in individually controlled compartments. What ever your footprint, Continental Metal has the right sized warming cabinet. Design Warming Cabinets to fit your unique requirements. Recessed or Freestanding. Mobile or on a sturdy Stainless steel base. Blanket Warmers and Solution Warmers from CMP Available in the Widest Range of Sizes. 74″ High or 60″High Full sized Combination Solution / Blanket Warmers, Dual or Single Compartment. 45 inch high Mid-sized Solution & Blanket Warmers, 26″ high tabletop or countertop warming cabinet models are manufactured by Continental Metal Products to fit in the smallest clinical spaces. 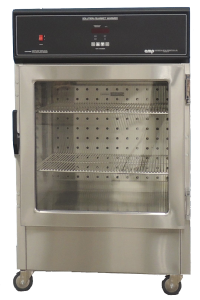 These smaller, space saving models posses all the features and options of the 74″ high Full sized Dual Chamber Warming Cabinet models. CMP’s most Popular Options include Solid Stainless Steel or Glass Doors making visual inventory taking easy, Mobile units utilizing Casters with locks, and Pass through Warmer options. For more information, contact Continental Metal Products at 781-935-4400 or Email CMP NOW!